When you're driving a cargo or passenger van in DeSoto, you want to be sure that it has a wide variety of safety features to keep you protected. 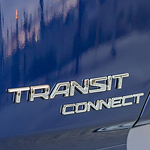 The new 2019 Ford Transit Connect has the technology to maximize traction and make it easy to drive in many different conditions. Drivers who are looking for a reliable used vehicle at a decent price often find the Ford Certified Pre-Owned Vehicle Plan to be the perfect option. With a choice of cars, trucks, SUVs and crossovers, there is little chance they won’t find exactly what they want. Stop at Mac Haik Ford and check out our huge selection of pre-owned vehicles. 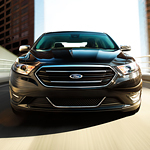 When sales representatives at Mac Haik Ford show customers the Ford Taurus, we're quick to point out that its interior cabin showcases styling that incorporates only the highest quality materials to ensure a comfortable ride. Customers have their choice of unique SHO leather-trimmed seating, either in Charcoal Black or Mayan Gray Miko. These seats have been designed to feature extended support thigh cushioning along with bolster contour and four-way adjustable head restraints to guarantee the most comfortable ride possible. When the job calls for a pickup that can take a beating, the Ford Super Duty is more than ready for the task. Ford built a strong foundation for its newest line of heavy-duty pickup trucks. Let’s take a look at just how strong the new Super Duty is for you. 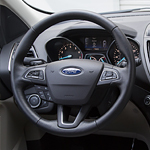 We here at Mac Haik Ford are excited to show you around the new Ford Transit Passenger Wagon. This popular full-sized passenger wagon is engineered with comfort in mind. The front seats are available with great features to keep you cozy no matter where you go. Discover why the entire staff at Mac Haik Ford is excited about the all-new Ford Escape. Here are some safety features that make this popular crossover the vehicle that you should consider before making your next automotive purchase. After you set the desired speed in the Ford Escape, the Adaptive Cruise Control system begins working to make your ride safer. 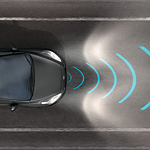 By scanning ahead of the car by way of radar technology and locating a lead vehicle, your car creates a safe driving buffer zone that it will maintain automatically by braking or speeding up for you. 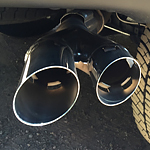 If you've never driven a compact car, you may be under the mistaken impression that smaller cars offer less performance feature. 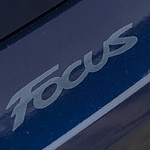 But the Ford Focus has quickly become one of the most popular compact car offerings in America, thanks to its many performance features. Our team here at Mac Haik Ford knows how important automobile safety is to drivers in DeSoto. 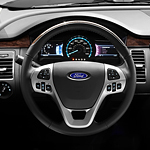 We're very excited to introduce you to Ford Co-Pilot360. This unique initiative by Ford includes a suite of standard safety technologies that are set to debut in vehicles in 2019. Families needing ample seating space love the three-row seating capability of the Ford Flex SUV. Updated features make each trip more enjoyable for all. Explore your options by stopping in and seeing our showroom in DeSoto. What Makes the Ford Mustang the World's Best-Selling Sports Coupe? Want to get into a Mustang? It’s noted as the best-selling sports coupe for 2018. Why? For one, Ford has created some of the most customizable sports cars on the road right now. With 14 different styles, you can choose from Eco-Boost to V6 to V8 power. 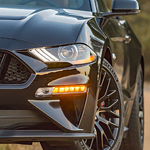 Of course, if you are looking for horsepower, then you may have your eyes on the all new Mustang BULLITT, which is rated at 476-horsepower. That still can’t compare to the Shelby GT coupe models.